Travelers of every kind will find consistent high quality and value at the Country Inn & Suites® by Radisson, Hagerstown, MD. Whether you’re looking for a hotel for the night or a home base for your family adventure, our rooms and suites provide a quiet, comfortable stay. Conveniently nestled between I-70 and I-81, our hotel is only a short drive from historical sites like Antietam National Battlefield, the natural beauty along the Western Maryland Rail Trail and plenty of shopping options at the neighboring Valley Mall. 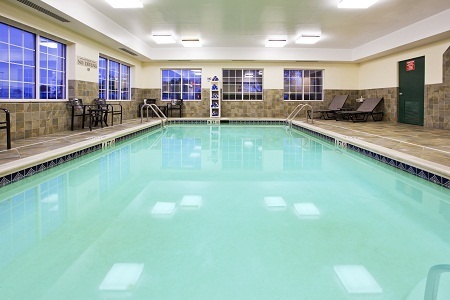 Back at the hotel, you can loosen up with a workout in our fitness center or unwind at the indoor pool. You can also indulge in our complimentary, hot breakfast daily while catching up on news and events with a free weekday USA TODAY® newspaper. Rest assured that you can stay connected with friends using our free Wi-Fi. If work is necessary, stop by the business center to complete your tasks. 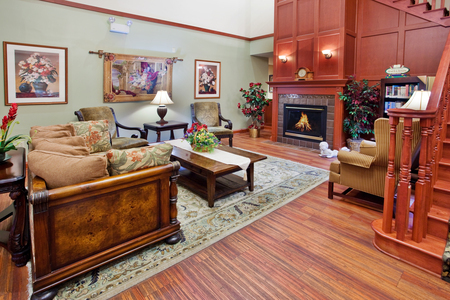 Please note that our hotel is currently refreshing public spaces including the lobby, hallways and breakfast room. We thank you for your understanding during this time! Your hotel room or suite provides a calming escape where you can rest easy under plush bedding and watch a Showtime movie or surf the Web using free Wi-Fi. With an in-room microwave and refrigerator, you can easily prepare late-night snacks and enjoy cold beverages. Thanks to the coffeemaker, you can prepare your first cup of coffee while still in your pajamas. 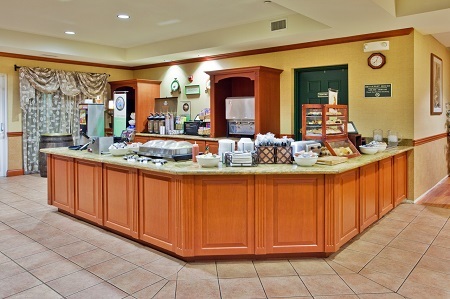 You’re welcome to cookies and fresh coffee anytime in our inviting lobby. Don’t miss our complimentary, hot breakfast each morning. We serve a mix of healthy and indulgent items like eggs, fresh fruit, waffles and yogurt. You can drive five minutes to lunch and dinner at area favorites like 28 South and Olive Garden. Check out our list of recommended nearby restaurants. Antietam National Battlefield – A 20-minute drive south takes you to a piece of American history. Take a walk through the cemetery to honor those who gave their lives, and then check in at the visitor center and Pry House Field Hospital Museum to learn details about military life during the Civil War. Western Maryland Rail Trail – Hike or bike beneath a bower of trees along the banks of the Potomac River and the Chesapeake & Ohio Canal on this 20-mile paved stretch of a former railway. Reach the entrance near Big Pool, about 13 miles west of the hotel. 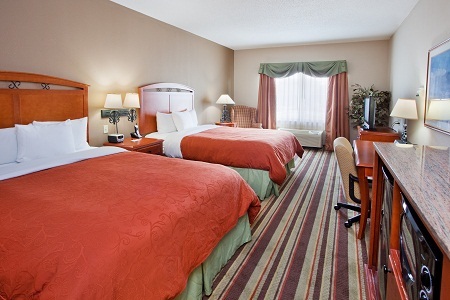 Valley Mall – Dozens of your favorite stores are only a five-minute walk away from the Country Inn & Suites. You can buy key additions to your wardrobe at a variety of stores like JCPenney, H&M and Old Navy. Plan small or large events in our flexible meeting spaces, which feature free Wi-Fi. Host conferences for 12 in our boardroom or social functions for 50 or 100 in our dividable, well-equipped hall.